We are pleased to present the fourth edition of our newsletter, covering recent offerings, latest news, exhibitions and more. More details can be found below. And to receive up to date gallery news, like us on Facebook. For additional information or questions, please inquire by phone (312) 943-2354 or email. Charles McGee’s sculpture United We Stand has been unveiled at the Charles H. Wright Museum in Detroit. The work was funded via an award from the Joyce Foundation in Chicago. Bats, Babes & Broccoli – an exhibition of Wisconsin Magic Realists from the mid-20th century is currently on view at the gallery through December 30, 2016. View the digital catalogue with an essay by Robert Cozzolino here. This fall the gallery will be publishing a catalogue of significant period Western art. Please inquire to receive details. 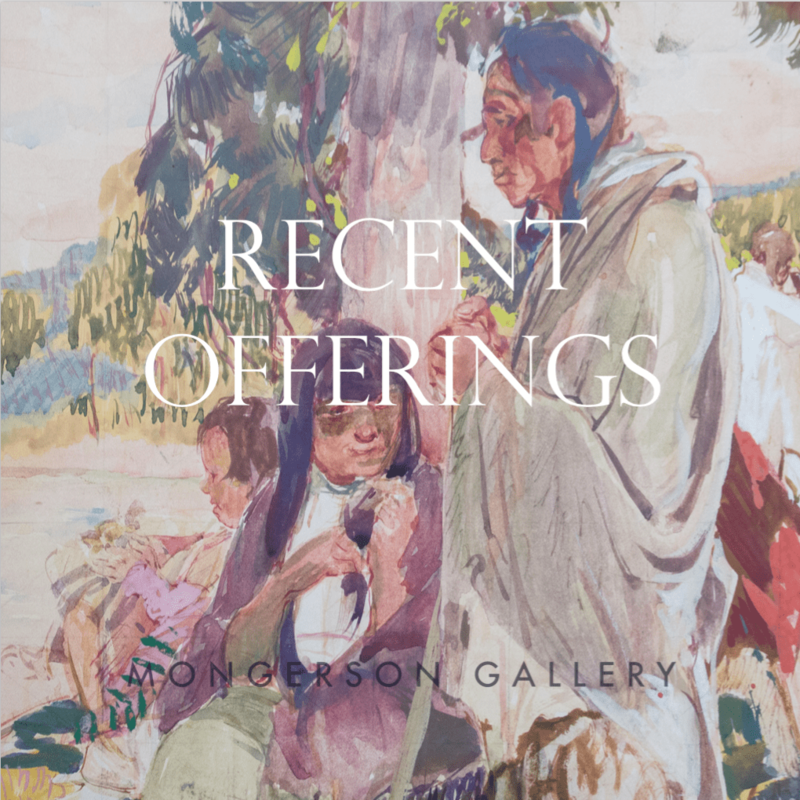 We are proud to present the following available selection of Western and Taos works. Please view the entire collection here. All works are subject to prior sale.